This is Part II of a three-part series. Part I, a chat with experts about what drew blue-collar workers away from the Democratic Party, ran Tuesday. The series closes Thursday with Part III, studying the February race for party chair. 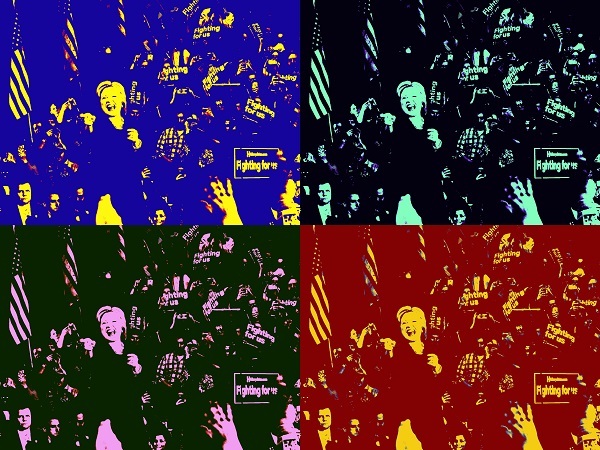 WASHINGTON (CN) – Was it the candidate or the message? Against signs of a leftward face-lift in the Democratic Party since its upset loss in the November election, politics experts harbor reservations about whether the shift is necessary. Hillary Clinton after all won the popular vote by nearly 3 million, and the presidency slipped through her fingers by just a few thousand votes in a handful of key states. The Democratic National Convention hailed Clinton’s platform as the most progressive in history, with multiple parallels to the core principles that propelled Sen. Bernie Sanders’ historic campaign. Clinton opposed the Trans Pacific Partnership, championed tougher regulations on Wall Street and had a plan to make public universities tuition-free for people making under $125,000 a year. 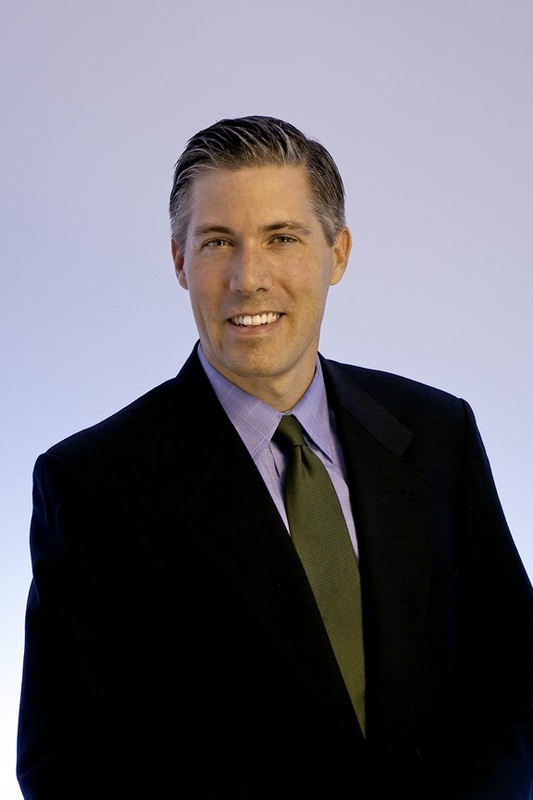 John Halpin, a senior fellow at the Center for American Progress. For Halpin, communication is the key to bringing the party back to power. “Really what has to happen is you’ve got to take all of these messages to people on the ground in multiple places at once,” Halpin said. Indeed post-election polling by Halpin’s group, the Center for American Progress, found that 79 percent of voters – and 68 percent of those who voted for Donald Trump – support a national paid family-leave program. Another key focus of the platform that lost in November, Clinton’s plan to make college tuition-free for in-state public colleges, has support from 69 percent of voters. Halpin said the split is not necessarily between the conservative and liberal wings of the Democratic Party, but between the populist and establishment factions. From Brexit to Trump’s campaign, populist movements have gained traction across the globe, giving Democrats a strong incentive to strike a more personal chord in their appeal to voters. Some other polling numbers back this line of thinking as well. President Barack Obama had an 84 percent approval rating among voters who backed Clinton in November, and just 17 percent of voters overall said the next president should peruse more liberal policies than Obama, according to exit polls. This suggests something other than tepid Democratic policies costing Clinton the election. “The fact is we’ve bled 900-plus seats in state legislatures, we don’t have nearly even half of the governorships in the states,” said Shannon Jackson, executive director at Our Revolution, in an interview. “There are telltale signs that the Democratic Party is not getting their message out, is not being representative of the people,” he added. 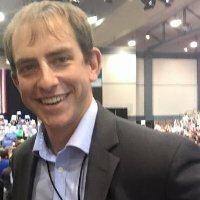 Jackson noted that one of the successes of both Trump and Sanders was their ability to remain authentic through a political process that typically strips candidates of their humanity. It was Sanders who launched Our Revolution, a reference to his iconic message during the primaries. The goal of the group is to fold the promises of Sanders’ campaign into the core of the Democratic Party. 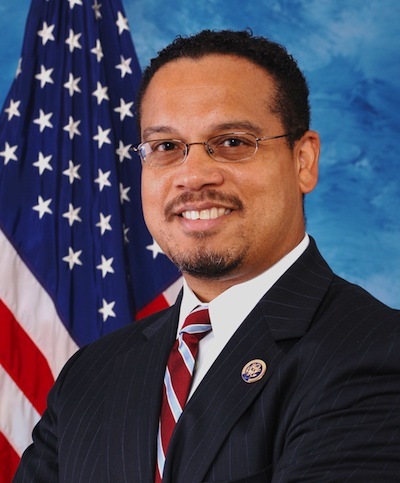 Rep. Keith Ellison of Minnesota is vying to be chair of the Democratic National Committee. The candidate has backing from the group Our Revolution, created by Sen. Bernie Sanders. Our Revolution is backing Rep. Keith Ellison, an early Sanders supporter, as the chair of the Democratic National Committee, even as party standard bearers like former Vice President Joe Biden have thrown their weight behind other candidates. Sanders himself has taken on greater roles in party’s leadership in the Senate, despite his technical party affiliation of Independent. In his announcement of Senate leadership changes in November – a shift that carried a promotion for fellow progressive Sen. Elizabeth Warren – Senate Minority Leader Chuck Schumer spoke of unity and the left tilt being demanded. “Each of us believes we need a sharper, bolder economic message about returning the economic system, which so many feel is rigged against them, to one that works for the people,” Schumer said at the press conference, borrowing another Sanders catchphrase. President Barack Obama echoed Our Revolution’s strategic plan in a press conference on Dec. 16, saying Democrats need to do a better job of reaching out to other parts of the country, rather than being satisfied with the bubbles of supporters on the coasts. Some of this strategy is already visible in how Democrats are fighting Republican attempts to repeal the federal health care law and in how they are mounting opposition against Trump’s cabinet appointees and Supreme Court nominee. After emerging from a meeting with Obama in early January, Democratic lawmakers were adamant about a plan to save so-called Obamacare, the federal health care law otherwise known as the Patient Protection and Affordable Care Act. 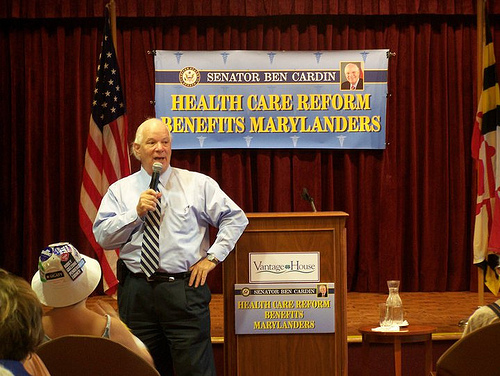 Sen. Ben Cardin of Maryland, in a 2011 photo on his website. This plan has made headway, with some Republicans growing skittish about repealing the law completely without a consensus replacement. Taking a page from marchers and protesters across the country, Democrats in the Senate have boycotted meetings and delayed votes on Trump appointees with whom they disagree. They also vowed to filibuster Trump’s Supreme Court nominee even before he announced U.S. Circuit Judge Neil Gorsuch as his pick last week. But this level of opposition might be difficult to sustain, even as the party’s base continues to pour into the streets armed with signs and a never-exhausted stream of chants and slogans. “The radical nature of this government is radicalizing Democrats, and that’s going to pose a real challenge to the Democratic Party, which is to draw on the energy and the activism and the passion that is out there, but not let it turn us into what we despised about the Tea Party,” Rep. Adam Schiff, a California Democrat, told the Los Angeles Times on Wednesday. With the party hamstrung in the federal government, unable to pass its own legislation, Halpin at the Center for American Progress acknowledged the difficulty in trying to convince voters that Democrats are fighting for them. This is where state organizers and grassroots groups like Our Revolution would need to come into play, generating micro-level support for Democratic policies and candidates to revive the party in the states where it has lost significant ground in recent years. “There’s the energy that people are very eager to change their society on the local level, and we need to make sure that the Democratic candidates that are running and the Democratic Party itself are representative of the mindsets of people,” Jackson said. Hillary Clinton’s loss in the 2016 presidential election did more than paint the executive office red. With Republicans at the helm of the federal and most state governments, the Democratic Party is at a crossroads. This three-part series looks at what they are doing to get back on track. Return to Part I and check back Thursday for Part III.